In the biggest Korean shipping collapse since Hanjin Shipping folded, Dong-A Tanker yesterday sought court receivership in Seoul. Founded in 1968 with a 17-strong fleet today made up of two bulkers, four containerships, eight tankers and three car carriers, Dong-A is a well-known name on the Asian shipping scene. Its application for court receivership has caught many by surprise having been in profit in recent years. In a note to clients, seen by Splash, Dong-A said it had to go down the bankruptcy protection route because of “strong pressure” from state-backed banks, Korea Development Bank (KDB) and the Korea Export-Import Bank (KEXIM). Splash understands that it was a failure to refinance the company’s car carriers that forced it to seek court protection. 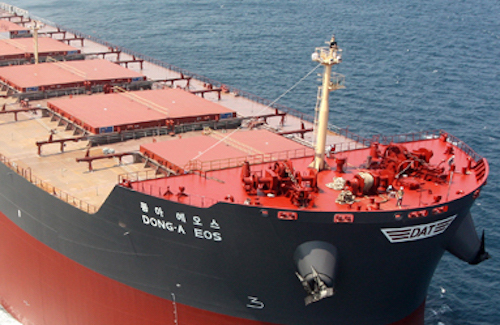 In recent weeks as the company scrambled for a non-court solution to its financial impasse, Dong-A started to circulate some of its ships for sale. Splash reported last month that the Korean line had put two 2009-built chemical tankers up for sale, the Dong-A Iris and Dong-A Calypso.